‘Architecture in Schools’ was written by our work experience student, Jesse. As a student at secondary school on work experience here at Shape Architecture, I understand the importance of having a warm, friendly atmosphere for learning, and one of the best ways to create a good atmosphere is to have a light, open classroom. At Shape Architecture, they have worked on a few schools, making them more eco-friendly and a nicer place to learn. 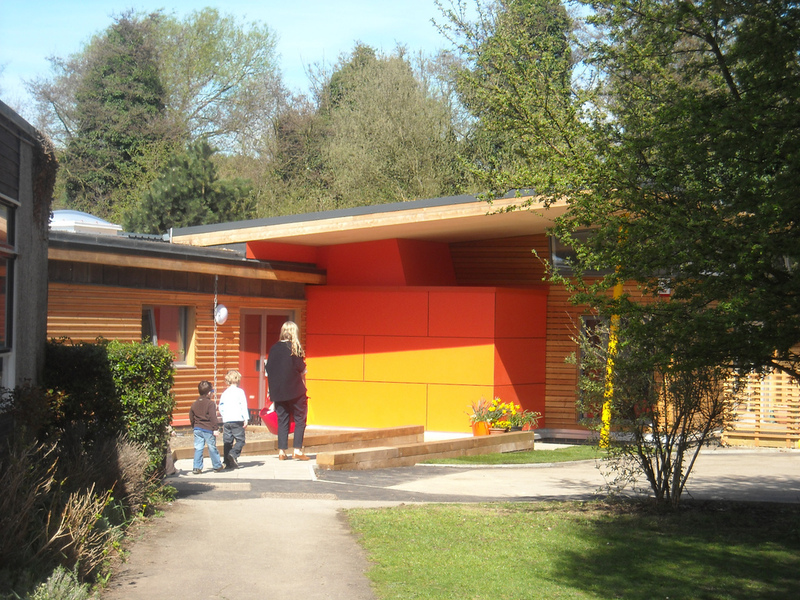 The Orchard Primary School project was commisioned by Bexley Council as a newbuild for classrooms to maximise learning. Skylights grace every classroom, reducing the need for artificial lighting; sunlight has been proven to be better for productivity than artificial light. 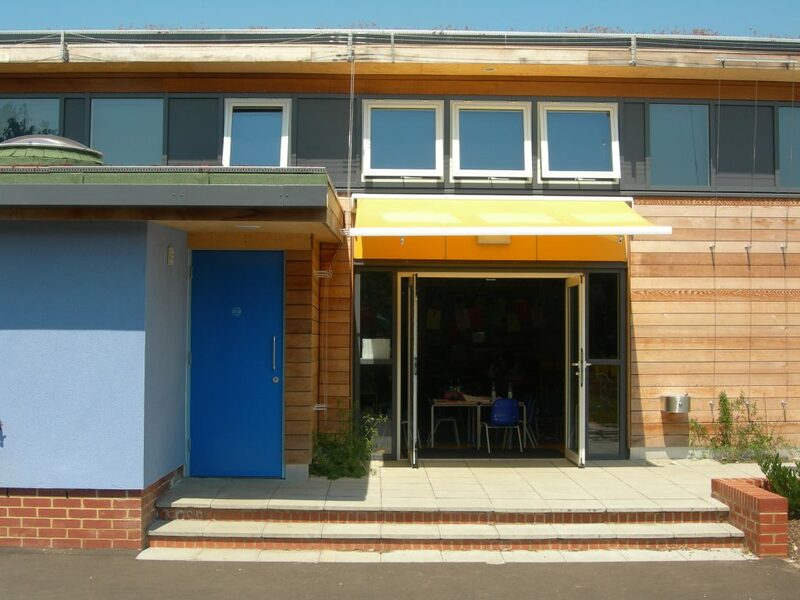 The sedum sloping roof visually ties the building back to the natural hill surrounding the school. Each classroom has a quiet room and store with a toilet pod accessible from the playground. 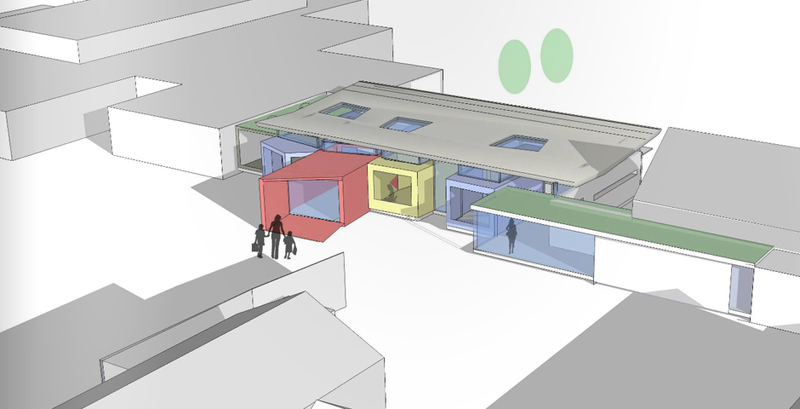 One classroom is set outside, within an external landscape and has an allotment at the centre. This project has used architecture to make learning more efficient as the natural elements of the school provide serenity in the busy academic environment. The use of natural light allows the students to perform better. The southward-facing windows create a light, seamless transition from classroom space to the outdoors. Teachers have the option of taking classes outside, which has been noted encourages student participation in lessons and provides a variety of lesson options for the teaching staff. Alongside Orchard Primary School, the Upland Primary School was built. A new build, this followed similar principles and offers a great learning place for students. The new building has two floors and like in the Orchard Primary school, has southerly facing windows to maximise the natural light entering the classrooms. 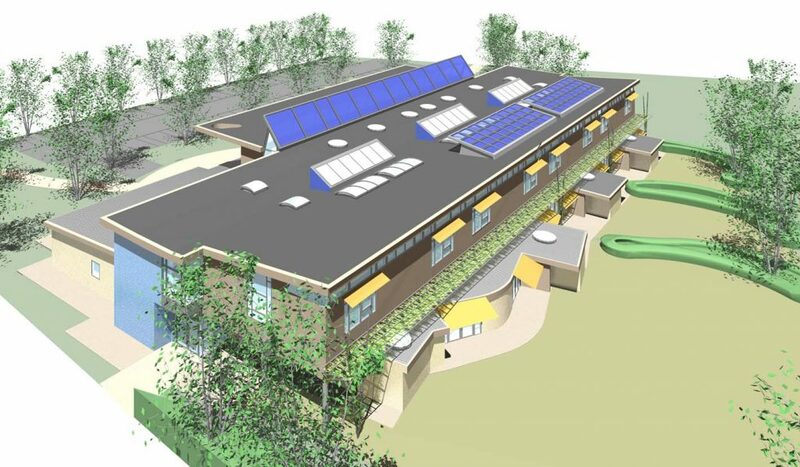 The school has a roof that is designed to collect and use rainwater. There are a variety of roof lights and light wells, that deliver natural light to both levels of the building. There is a large array of Solar Panels that help generate sustainable, green energy. The design Instills positive attitudes towards green architecture within the students. The impact of good school design can enhance students not only within their time at school but also as they mature through life. The importance of architecture must be considered in how it can affect the attitudes of the new generation. Another school project Shape Architecture worked on we the St. Francis Xavier College. The 19th-century building was dark and not the nicest place to learn, but the new renovations introduced light to flood through the corridors and into the classrooms. Horizontal and vertical glazed panels were introduced which allowed views of the gardens and courtyard. The classrooms were flooded with the light. From my experience in school, I find it harder to work in classrooms that are dark and undecorated. I understand the importance of having well-lit classrooms. Classroom of the Future was built to inspire and intrigue students, from their journey to lessons as well as in their quiet lesson time. 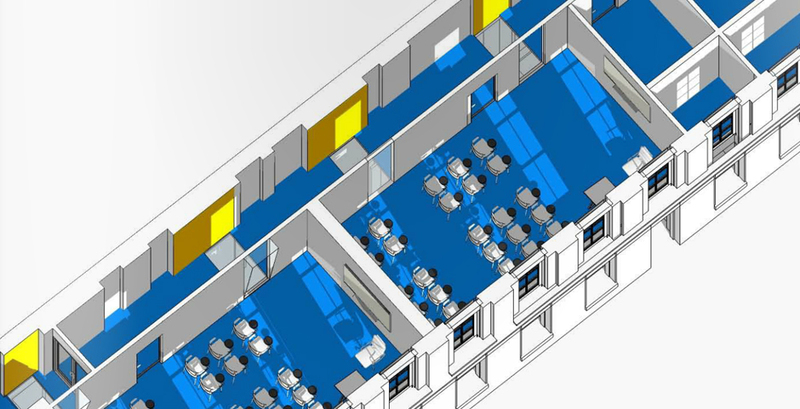 The use of varying levels creates semi-private spaces for or study as well as relaxation. Students make their way up boldly coloured staircases, winding through plants and trees to their lessons. 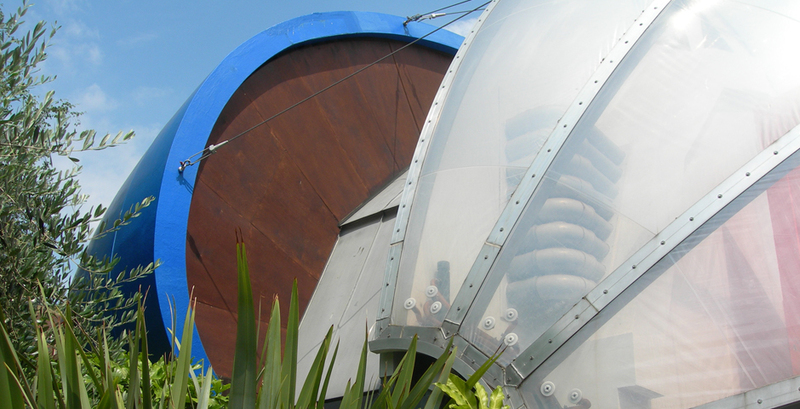 The interesting shape of the biosphere ignites the imaginations of the students. A variety of juxtaposing materials are placed against each other to create various textures. One side of the biosphere is completely transparent, allowing natural light to flood the entire space. The use of different texture and materials, the contrast between nature and industry and the vivid colours are in place to inspire students. This alternative to the beige box most classrooms is refreshing and pleasant. I wish all schools were designed to be this fun! Shape Architecture challenge typical conventions to create contemporary, interesting and fun classrooms that are bright and lively; exactly what students need to perform at their best.